Recently, after I completed a mission in a popular big-budget video game, one of the "good guys" I was working for began yelling at me. Apparently, cutting off the nation's drug supply was a bad thing. After yelling at me for a few minutes, she immediately asked me to go do another mission for her, which I did, because it was the only way to progress in the game. But, as I carried out my next mission, I kept asking myself one question: why do this? Why try to have fun when I'm just going to get yelled at? Why play a game that insults you for playing it? Video games, unlike all other media, require action from their players. When we buy games, we do so because we want to play them, to partake in the activities that they have for us. Games and players have an unspoken contract: a game will give players something meaningful to do, and the players will go do that thing. The game gets the player's time and attention, and the player derives value from the experience. A game that mocks its players for doing the very things it asked them to do is a game that violates this contract. If games require action, then I think the games should work alongside their players to provide activities that players may want to undertake. Pokemon works because we both want the same thing: for me to "catch 'em all." S.T.A.L.K.E.R. demands I survive, so the entire experience is focused on that struggle. Far Cry 4, however, wants me to free a nation, but there is no way to do that; the game breaks its contract. The 2014 shooter Wolfenstein: The New Order gets this stuff right. There are many great things about Wolfenstein, but where the game really shines is motive. It would be easy for the developers to have simply pointed players in the direction of the game's enemies and said "they're Nazis, go shoot them." For Machinegames, that wasn't enough. They had to make it personal. 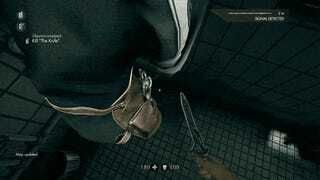 The game's first level ends with the Nazis torturing BJ Blazkowicz, the series' protagonist, and making him choose which friend the Nazis will experiment on. The second level begins with BJ in a hospital, paralyzed and seemingly comatose. In truth, BJ sees everything, but he's powerless to act. When the Nazis come and butcher the staff, BJ finally snaps into action and rescues the nurse who watched over him during his 15-year hospital stay. Shortly after, he joins the resistance movement. Wolfenstein makes your purpose exceedingly clear: you are going to fight Nazis and you have a personal reason to be extra vigorous in doing so. 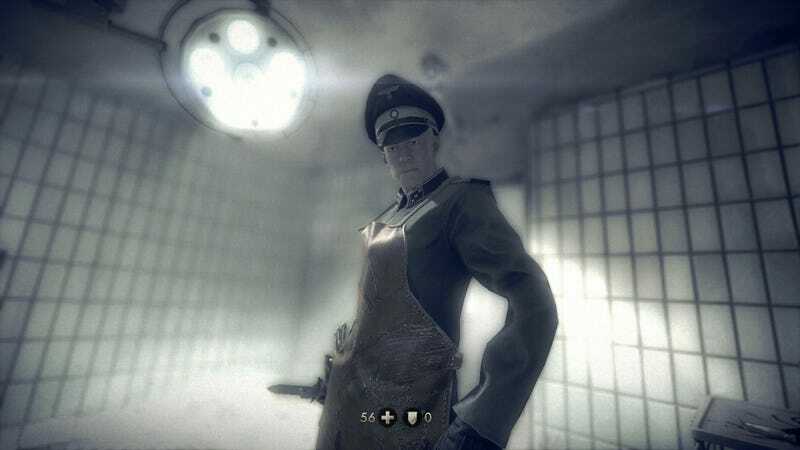 Part way through the game, Wolfenstein decides to remind you why you're fighting, so it sends you to a prison camp, where you're to find a man named Set Roth, who allegedly knows many Nazi secrets. This level—Camp Belica—is a clinic about how to motivate the player. I'm going to break it down. Right off the bat, the Camp Belica level robs you of any power. At the start, you're trapped in a slowly-advancing line of prisoners. Let go of the controls, and the crowd will push you forward—there is nothing you can do. It feels like you're being led to the slaughter. Bubi, a Nazi you met earlier, notices you and asks that you be sent to work in the concrete factory. You are pulled out of line, your arm forcibly tattooed. As you advance to the next room, you will probably make a note of the Nazis beating a man to death. In the next room, you'll need to mix concrete, a far cry from the relentless shooting of the previous levels. Break the machine, switch uniforms with another prisoner while the guards are distracted, and head to Block 4 in search of Set. In Block 4, a giant robot stalks the grounds. Its limbs are tools of death, its belly a portable furnace for disposing bodies. This ugly machine is the source of Nazi power in the prison camp. Set is not a hard man to find. He agrees to escape with you so long as you help him shut down the camp. To do so, Set needs a battery that can only be found in the command barracks, but the only way there is to shut down the security system in the medical facility. Set's not the only prisoner you can talk to: a woman asks you to find medicine for her dying husband. Another woman near the medical facility explains that a Nazi guard known as The Knife tortures prisoners. She asks you to kill him..
A small door on the front of the medical facility is wedged open just enough for you to get a grip. As you pry open the doors, you can see what kept it open—a corpse. The Nazis have been dumping dead bodies down this hatch and into the medical facility, though for what end, the game does not say. To enter the building, you must slide into a pile of bodies and blood. This is a great, moment that intensifies your motivation to act. Until this point, you've been powerless, made to move against your will, and forcibly tattooed. You've witnessed the horrible suffering inflicted on others. Now you see the true cruelty of the Nazis in the mangled bodies of their victims. If you weren't ready for vengeance when you started, you should be ready now. Suddenly, The Knife ambushes you! When you wake up, you're strapped to a chair, unable to move anything but your head. He mocks you, gleefully slashing at you with his knife. Now you're the one being hurt. The developers cleverly use the game's health system to further build your desire to act out. Because Wolfenstein features point-based health, each stab subtracts health points. You're forced to watch the numbers drop as The Knife stabs you. Even better, because Wolfenstein uses health kits instead of regenerating health, you know you won't just magically recover. You need a health kit. There's one across the room, but you're unable to move. It's a tense situation that would have been impossible with a more modern health system. You wake up to the click and hum of an incinerator. There's a knife in your belly, which you take, ready to turn it against its captors. You scramble out of the incinerator moments before it ignites, ready to take revenge on your captors. If you explore, you'll find plenty of health kits and armor shards. You're finally ready to fight. The guards in this prison are all armed with batons—if they were armed with guns, it might be a frustrating encounter, but because you are limited to melee weapons, so are they. It's a clever bit of design. The gameplay design shifts here. Before, you could explore relatively unimpeded, but now you must sneak around out of fear of alerting the guards. Being armed makes the game more tense than when you were unarmed, because now you have a tool for engaging with your enemies, which means more opportunities for them to discover and kill you. This ratchets up the tension tenfold, but sneaking through the facility, eliminating guards as you encounter them, is a liberating feeling. Finally, you're able to do something! At the same time, it's a more intimate moment than it might be with a gun. To fight the Nazis, you must get close to them. This moment is supposed to be personal, and using a knife really sells that sensation. Taking revenge against The Knife is easy. You can also find the medicine needed to save the dying man from earlier. These are optional objectives, however; you're welcome to sneak your way through the level, disable the security system, and continue without doing either of them. Wolfenstein is generous that way: while it's a shooter at heart, it presents many opportunities to play things differently, adding to its already extensive replay value. Assuming you have killed The Knife, the woman who made the request will thank you upon your exit from the facility, reassuring you that you did the right thing. It's a cool confidence booster—the game has given you an action, you carried it out, and it thanks you for doing so. Unfortunately, in the interim, the sick man has died, his wife begging you to go away. This stuff's all motivated by the story. There are no XP rewards or cool loot to find. If you do these things, it's because you want to help people in need. You do it because you're motivated internally, rather than by the promise of reward. Failing to save the man is a loss, sure, but preventing The Knife from killing anyone else is a win. It's a bittersweet contrast. "You did the right thing," Wolfenstein says. You played the game, and it's glad you did. The man's death and his wife's ensuing misery tempers your victory, keeping you from getting too cocky. Yes, you may have killed some Nazis, but you've also lost someone to them. The wounds are still fresh. The fight is still real. Set is grateful that you've disabled the security system and urges you on to the next area. Bright blue tarp draws your eyes to the scaffolding on the side of the headquarters, making it easy to know where to go without simply giving you a map marker. As you climb up the building, you can hear the camp's commander, Frau Engel, laughing with her much younger lover, Bubi. She says she's done her part for the Nazis, raising six children for them. Now it's time for her to have some fun with Bubi. It's an interestingly human moment for a character who earlier shouted through factory speakers about how no prisoner's life mattered. Engel and Bubi leave, making the office easy to infiltrate. Look around carefully, because there's a secret behind one of the paintings. You'll want to keep an eye out for Nazi guards, of course, because you're only armed with knives. 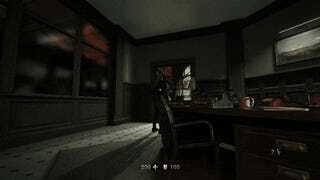 Quietly stabbing your way through the Nazi headquarters is wonderfully tense. Unfortunately, just as you find Set's battery, you're captured. Apparently, Engel knew you were here all along, and she's happy to let you know it. Upon hearing that you are an American, Engel orders everyone in your cellblock killed, then knocks you out. When you come to, you're tied to a post, with Engel's giant Nazi robot ready to kill you. Reacting quickly, you can throw the battery—which you kept hidden from the Nazis—to Set, who plugs it into a device that he uses to take control of the robot. Frau Engel, her face bloody and broken, claws her way up to you and threatens to burn you alive, rendering the fat from your body, vowing not to stop until every one of "your kind" is eliminated. Before she can finish her threat, the robot intervenes, flinging her off a cliff. Set urges you to board the machine. It's one thing to get a pistol and another thing to get a giant robot that stomps around with a rocket launcher and gatling gun. The Nazis have given you powerlessness and misery, but now you answer, turning their mighty war machine against them. Concrete crumbles to dust as you blast away enemy cover. Your rockets make quick work of their heavily-armed robots and jackbooted soldiers. Set urges you to get him into the motor pool, which you do. He ushers the prisoners in while you hold off Nazis. This isn't really a last stand. You're so powerful at this point that it's more of a meat grinder for the opposition. This is a shooter, and you're supposed to have fun shooting—what better way to have fun than to know that your targets deserve every last bullet that you send their way? The level ends as you, Roth, and the rest of the prisoners escape in stolen Nazi vehicles, but not before the horrifically-wounded Frau Engel returns, dual-wielding machine guns and attempting to kill all the prisoners. Unfortunately for her, the escapees run her over with one of the stolen cars. With that, the level ends. In screenwriting classes, aspiring writers learn that audiences want a reason to keep watching a film. Generally, this is done by providing the protagonist with a motive; if the protagonist wants something, then the audience wants the audience to get it. John Wick's dog was killed and car was stolen, so we want to see him get revenge. An alien stalks the crew of the Nostromo, so we want to see Ellen Ripley escape. The Empire is enslaving the galaxy, so we want to see it stopped. Great movies often rely on this simple principle of cause and effect, of establishing a motive. We, the audience, want something to happen in the movie, and that's why we watch—to get that particular want fulfilled. It's true for video games as well. In games, we are the characters in a way, because we're the ones who must take action. Doom: because monsters are shooting at me, I must shoot back. Payday 2: because I want money, I should rob a bank. Hatoful Boyfriend: because humans have almost died out due to plague, I must begin dating sentient birds. Tomb Raider: because my ship crashed on an island, I must find a way off it. In Wolfenstein: because General Strasse's Nazis have taken over the world and caused endless misery, I must kill him and save the world. Because X, I must Y. We need reasons to act. Star Wars wouldn't be interesting if Luke Skywalker was perfectly happy in his home, nothing went wrong, and he never left. John Wick's eponymous protagonist would bore us if he never had a reason to go around shooting people. So it's kind of weird to go play Far Cry 4 and be told not to play the game, or to hear from Bioshock that our experience didn't matter. We want to shoot Nazis. We want to explore Rapture. We want to assassinate people, to free nations, to shoot and romance and race and survive and run and jump and do things. The best games empower us to act. The rest tell us not to. What good is a game that doesn't wish to be played? I like Wolfenstein for so many reasons. It's got deep, fleshed out characters, but delivers them with subtlety and nuance rather than a conversation wheel that lets you explore their innermost-secrets at a whim. The animations are crisp and neat, hit reactions are great, the maps and health system emphasize player movement, the core of any great first-person shooter. But most of all, I like it because of its conviction. I'm here to shoot Nazis and save the world. Sure, it might be a simple goal, but it's a game that never flinches from doing that. I want to have fun shooting, and it wants me to have fun shooting. Together we make a great team.